Please check-out the May 2014 issue of Cruising #Going Places Magazine where I have contributed my photo of Balaan Bukid in Guimaras. It is a full-packed summer issue featuring some of the great island destinations in the Philippines. Cruising is available at all leading bookstores nationwide at an affordable price of Php 120.00.
wow, sikat na talaga kayo sir Oman :) huge congrats! haha salamat fiel-khun. yup yung second pic sa collage yung naka-post sa fb. 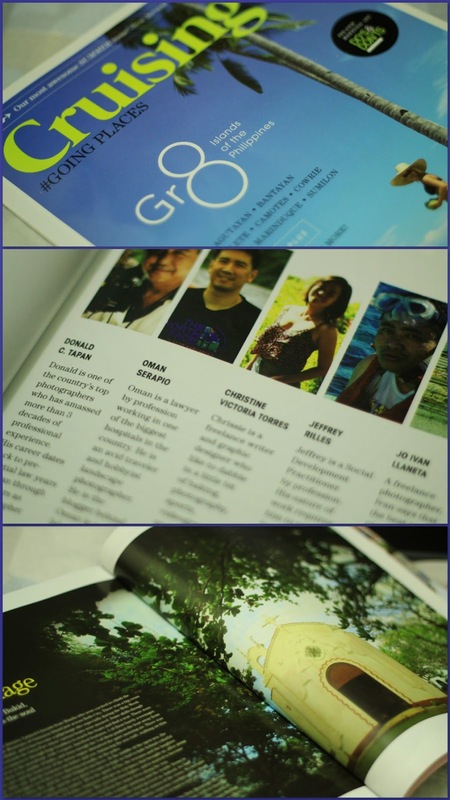 Thanks and Congrats too Jeff :) Ganda ng mga photos mo sa issue ah. That deserves a blow-out Atty. Congratulations. Congratulations on the feature. Will this be a regular thing?